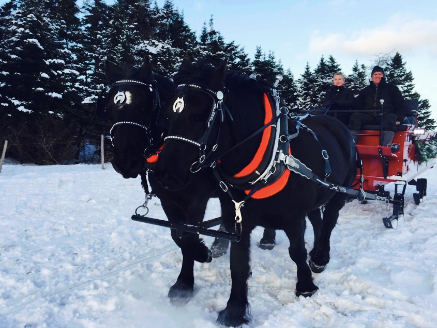 Enjoy a horse drawn sleigh ride on the farm! Visit the Farm for winter fun, food and memories! Note: Snow or no snow the sleigh ride will still go ahead. Our sleigh has skis and wheels! 12-15 people can be accommodated per ride. To make a reservation please purchase your tickets below, if you are having trouble booking online call us at 368-2458.